Bria Organics began in 2008 as a mother’s labour of love to find an effective 100% natural and steroid free treatment for her baby son’s eczema. After completing a course in natural skincare she devised some recipes of her own and tried them out on her son and other babies, children and adults with eczema. With some amazing results all round Bria Organics was born. Our Relief Repair Replenish range is known to address the three main problems faced by those prone to eczema, dermatitis and psoriasis - dry, itchy and inflamed skin. All the products for eczema, psoriasis & dermatitis are 100% natural, fragrance-free and made with the most effective ingredients chosen for their soothing, repairing and moisturising properties. Nothing is added unless it will benefit the health of your skin naturally. Over the years the Relief Repair Replenish Balm has found some other uses other than eczema. It has been effective for psoriasis, general dry skin, dermatitis, burns, scalds, scars, cradle cap and dry scalp conditions thanks to its healing, moisturising and calming properties. At Bria we believe that products should work in harmony with your body and the environment without compromising great results. We are committed to helping you care for sensitive and problem skin conditions drawing on our own personal experiences and by using the most effective, safe and high quality natural and organic ingredients. We understand allergic/sensitive skin and strive to make ourselves different from the rest and avoid use of some commonly used natural ingredients that we believe are just not necessary – by this we mean things like natural preservatives and natural essential oils – all of which may be tolerated on some sensitive skin but in our experience as these things can still cause reactions our approach is to leave them out and to keep our ingredients list to a powerful well chosen few. Our products are free from parabens, SLS, artificial colours & fragrances, alcohol and petro chemicals. They aren't tested on animals and they're suitable for vegetarians. All of our products are handmade in the UK. It's taken us until now to enter an award, but we're so excited that in the first award we've entered, we've won a silver in the best body oil/lotion category! you can read the full review in the special beauty supplement that will come with all copies of The Green Parent magazine, on sale from July 10th. 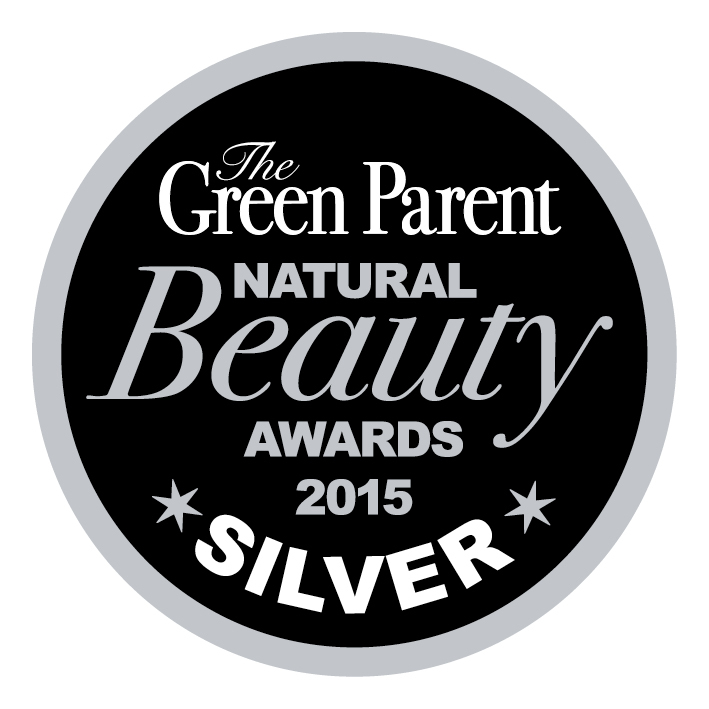 We've won another award for our Relief Repair Replenish Balm! 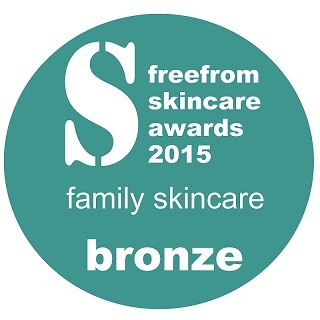 We've won a bronze award in the family skincare category!